Once upon a time, there was a man who had always wanted to go skydiving but his family always disagreed with it. He planned to go skydiving secretly. When the day came he rode in the plane. The door opened and then he jumped into the sky. He felt like he was flying. He also took three pictures. When he landed he checked his pictures immediately. One of the pictures was very silly. His camera was crazy so he looked like a baby. 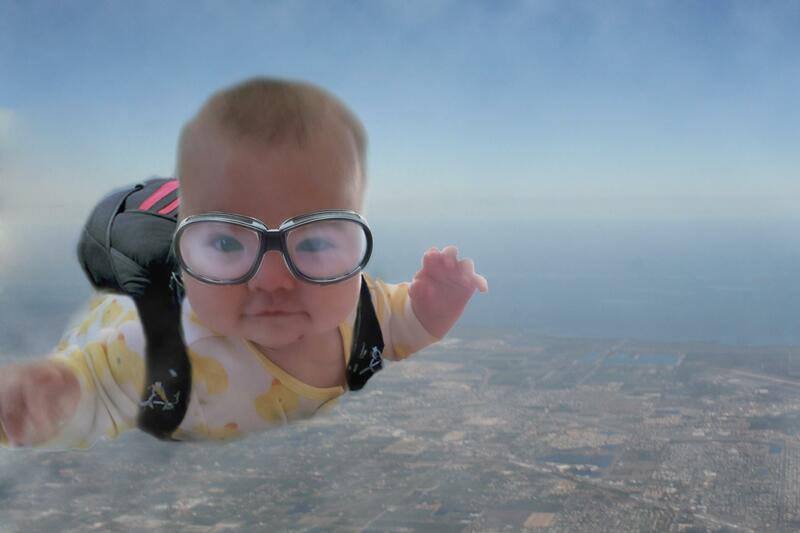 It was his best picture of skydiving.